Good news—we found your soul mate. Trustworthy, great communicator, makes you feel confident and secure. Responds to your every weather-related need, but is also independent and doesn’t need constant attention. Not only compatible with you, but also Amazon Alexa. We’re talking about the AcuRite 5-in-1 weather sensor, and to show our love and appreciation this Valentine’s Day, we’re treating you to 25% off. Just use promo code VAL25 from February 12-17. Our customers love the 5-in-1 for more reasons than we can count. It’s one of AcuRite’s most feature-packed wireless sensors, accurately measuring five different outdoor conditions, including temperature, humidity, wind speed, wind direction and rainfall. And unlike weather predictions you might find online or on the news, AcuRite weather forecast products use sensors that collect data right from your backyard. The 5-in-1 tracks specific sets of weather variables to generate a forecast with pinpoint accuracy personalized for your location. So whether you like to geek out over weather data, or just prefer to plan your day knowing whether or not it’s going to rain, we’re sure sparks will—literally—fly. 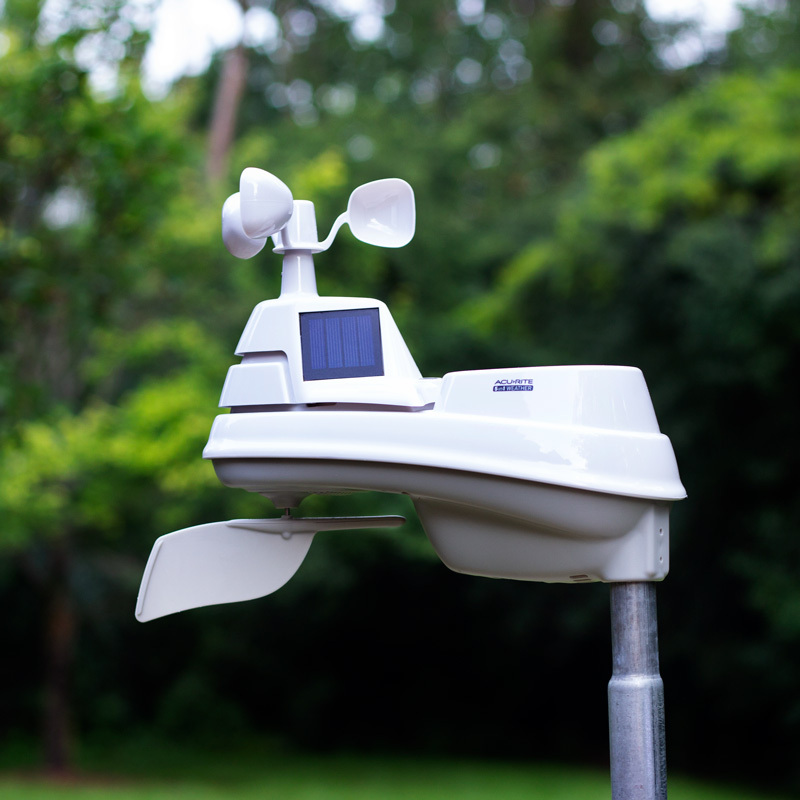 AcuRite’s 5-in-1 weather station with lightning detection can count lightning strikes and even calculate distance to lightning producing storms. Just when you thought the 5-in-1 couldn’t get any dreamier, it also connects to My AcuRite using AcuRite Access. View your data on your smartphone, tablet, or computer to keep you connected to what matters most. You can even set custom alerts when environmental conditions change and need your attention. Hands full? Just ask Amazon Alexa to get details about specific current hyperlocal conditions. Use code VAL25 for an extra 25% off through 2/17/2019. VAL25 coupon code valid through 2/17/19. Only valid on weather stations with 5-in-1 sensors. Offers may not be combined. Enter coupon code at checkout.